You maybe know know Banksy because of his grafftis in New York, he is one of the famous street art artits which is anonymous since years and years. You've never known who he really is, right? Recently, someone took a picture in an empty parking and posted it on Twitter. 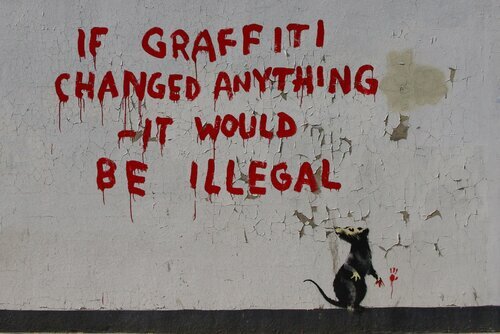 Aparently, Banksy is a group of men, and the one who talked to the "paparazzi" guy had a British accent. So, will be they're identities revealed? We all hope so!